photo booth wedding in Houston, TX. Are You In Need? Need A Photo Booth For A Wedding In Houston TX? So, you need a photo booth wedding in Houston, TX? You have come to the right place. If you are looking for a photo booth that is elegant, interactive, memorable and that will leave your guests in awe, look no further. Clients have called on us specifically for the photo booth we offer. Also, there are only a handful of these in the Houston and surrounding markets. If you are in need of a photo booth for a wedding, we urge you to check out our video tab above to take a look at this photo booth. We offer a custom animated start screen along with a custom template that comes standard in every package. photo booth for wedding in Houston, TX. 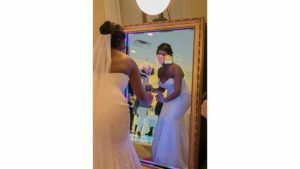 Check out our homepage for more information on photo booth wedding in Houston, TX. You may also find other vendors by doing a google search online. Face it photo booths travels anywhere in the tri-state area. If you are in need of a photo booth for a wedding in Houston, TX, please check the contact us link above for an instant online quote. The mirror me booth also has a ring of led lights inside the mirror frame. We can make these lights match your main wedding color. This adds a bit of customization to your elegant wedding. Most brides look for the ability to blend into the theme when searching for a Photo booth wedding in Houston, TX. Please consider your needs and what type of photo booth you will need. Also, consider your budget. Even though most vendors have a bit of flexibility in pricing, there is a limit to what a vendor may be able to accomplish. Please contact us today with any questions you may have about this new technology. ← What is the difference in Photo Booth Rental Company’s in Houston, TX?